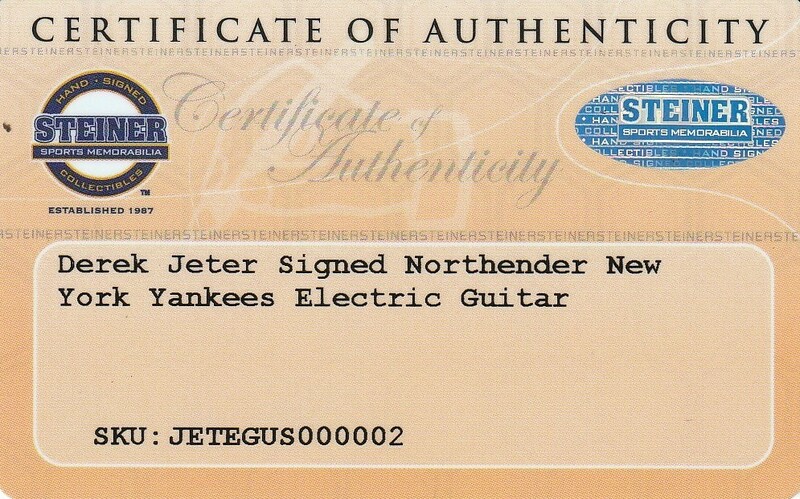 New York Yankees shortstop Derek Jeter has signed this Woodrow Northender electric guitar. Jeter, a surefire future Hall of Famer, is the Yankees career leader in numerous statistical categories, including hits and stolen bases. A five-time World Series champion, Jeter played his entire career with the Yankees and is one of the most beloved players in the history of baseball’s most storied franchise. 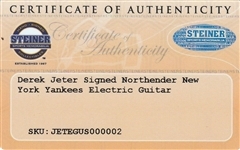 Jeter has signed the body of this navy Yankees-themed guitar in silver marker. This item comes with a Steiner Sports hologram (SS244191).